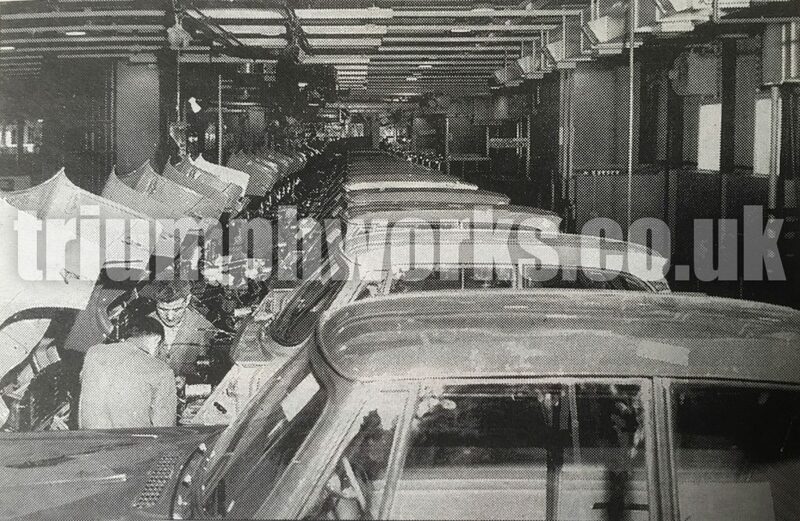 The Rocket Range began to produce cars in early 1961, initially with the Herald S – a stripped out entry level Triumph Herald. The ‘S’ was introduced to counter complaints that the Herald was too expensive (most others manufacturers offered more optional extras – such as heaters and windscreen washers – as opposed to the Herald which were included in the price). The ‘Rocket Range’ was the name given to the new building be workers as the process of painted parts entering one end and completed cars exiting the other was speeded up considerably compared to that of 948cc Heralds built in the pre-war sheds prior to 1961. The online archive www.triumph-herald.com is keen to hear from anyone who owned an original 948cc Triumph Herald in either Saloon, Coupé or Convertible styles. The website aims to record all 100,000 of these cars built. Can you help?